Westmeath are safely through to the second round of the All-Ireland SFC qualifiers after a 0-20 to 0-08 victory over London at Cusack Park this afternoon. Right corner forward Denis Glennon helped himself to 0-05 (2f) in the first half as the midlanders led by 0-06 to 0-05 at the interval. Mayo native Barry Solan kicked four first half frees for London who were clashing with the Lake men for the first time in the championship. A superior second half performance saw Westmeath race away with the tie – points from Glennon, Alan Mangan, David Duffy and substitutes James Nugent and Joe Fallon left the result in no doubt. 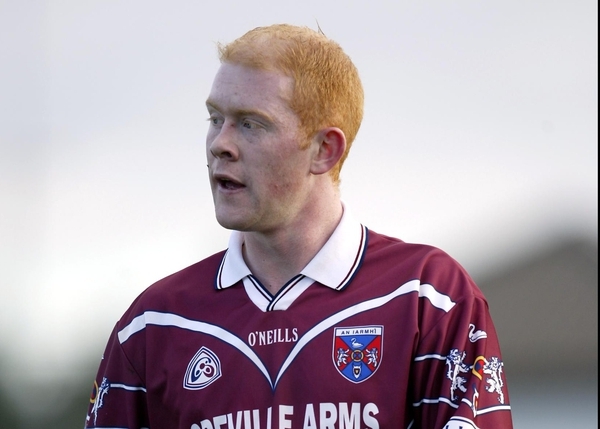 Busy wing forward Solan pointed a 20-metre free to open the scoring in Mullingar and although Westmeath were heavy favourites, Noel Dunning's visitors kept well in touch throughout the opening period. Tyrrellspass clubman Glennon was Westmeath's shining light – he ended a flashy run with the hosts' first point, then punched over after a well-timed flick on from Gary Dolan. Solan replied with a left-footed free in the fifth-minute and the sides were locked level on three more occasions in the first half until Glennon ended another sprint through with a point on 34 minutes. Solan added frees on 8 and 26 minutes for London, Niall Clinton also pointed from a placed ball for the Exiles, while stand-in captain Damien Healy, who played out of position at centre-forward, was Westmeath's only other scorer in the first half. Tomas O'Flatharta's team talk at the interval had the desired effect on his players as Westmeath went up through the gears during the early stages of the second half. Upping their work rate and movement, Glennon (0-04), Mangan, Dolan, Duffy and Healy helped themselves to points to push Westmeath 0-14 to 0-06 clear with only 15 minutes remaining. Dolan's point should have been a goal but London goalkeeper Brian McBreaty, who made his championship debut last month against Mayo, reacted well to tip the shot over. McBreaty had to be on his toes again when Glennon sliced through the London defence and he did well to parry a 14-yard shot over. London could only manage three points in the second half, all from free-taker Clinton. Mangan, centre-back Michael Ennis, Nugent, Fallon and Derek Heavin hit Westmeath's final five points to close out a pleasing performance for O'Flatharta's men, who were last in championship action five weeks ago against Offaly. Westmeath: G Connaughton; D O'Donoghue, B Nannery, J Keane; D Heavin, M Ennis (0-01), G Glennon; D Duffy (0-01), D O'Shaughnessy; PJ Ward, D Healy (0-02), G Duffy; D Glennon (0-10 (4f)), G Dolan (0-02), J Smyth. Subs used: A Mangan (0-02) for Smyth (25 mins), J Fallon (0-01) for Ward, J Nugent (0-01) for Duffy (both half time), F O'Boyle for O'Donoghue (62), D Dolan for O'Shaughnessy (66 mins). London: B McBrearty; A McLernon, D McKenna, P Earley; P McConigley, C Beirne, S Curran; E Brennan, P McDermott (0-01); P Quirke, J Murphy, B Solan (0-04 (4f)); N Clinton (0-03 (2f)), S McKenzie-Smith, W O'Sullivan. Subs used: M Travers for O'Sullivan (56 mins), M Gill for Murphy (62).